Neoplatonism in the Middle Ages. One of the most important texts in the history of medieval philosophy, the Book of Causes was composed in Baghdad in the 9th century mainly from the Arabic translations of Proclus’ Elements of Theology. In the 12th century, it was translated from Arabic into Latin, but its importance in the Latin tradition was not properly studied until now, because only 6 commentaries on it were known. Our exceptional discovery of over 70 unpublished Latin commentaries mainly on the Book of Causes, but also on the Elements of Theology, prove, for the first time, that the two texts were widely disseminated and commented on throughout many European universities (Paris, Oxford, Erfurt, Krakow, Prague), from the 13th to the 16th century. These two volumes provide 14 editions (partial or complete) of the newly discovered commentaries, and yield, through historical and philosophical analyses, new and essential insights into the influence of Greek and Islamic Neoplatonism in the Latin philosophical traditions. VOL. 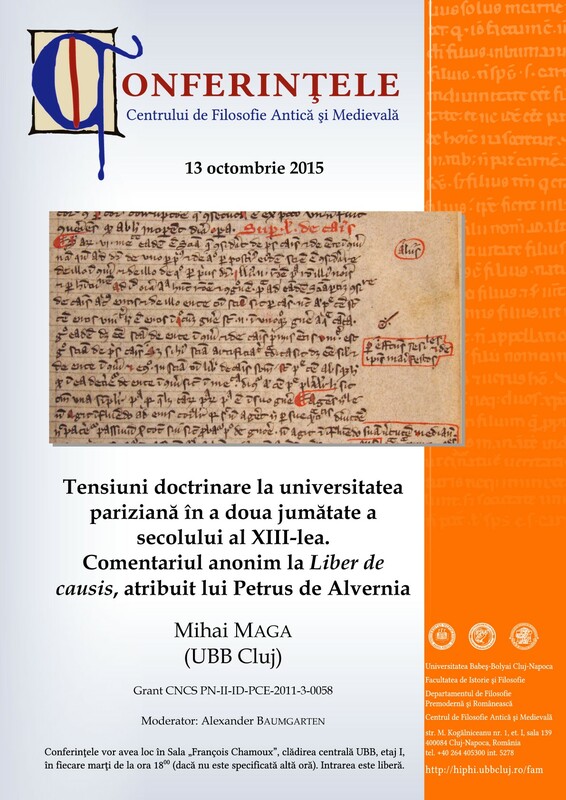 1: New Commentaries on Liber de causis (ca. 1250-1350), 562p. VOL. 2: New Commentaries on Liber de causis and Elementatio theologica (ca. 1350-1500), 418p.